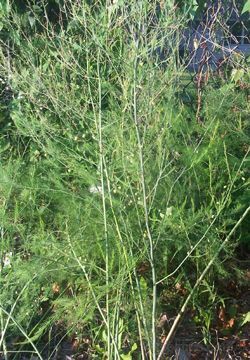 Asparagus is a perennial plant that can be purchased fresh, canned or even frozen. 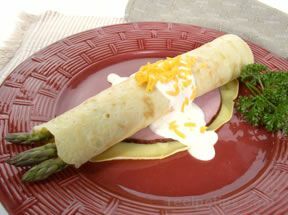 Fresh asparagus offers the largest range of flavors, and is generally best when harvested young in thin spears. 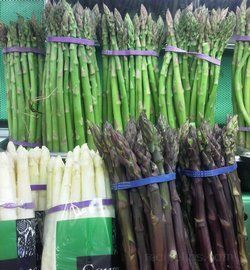 When selecting fresh asparagus bunches at the market, look for thinner spears as opposed to thicker spears which may not be as tender when cooked. 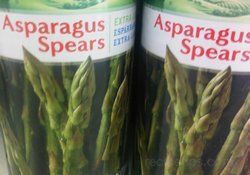 Canned and frozen asparagus are also available and at times more cost effective. 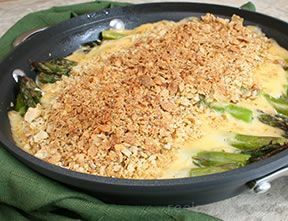 However cooking options with canned and frozen asparagus can be slightly more limited due to the tendency to lose its firm texture quickly in the cooking process resulting in overly soft, mushy asparagus. 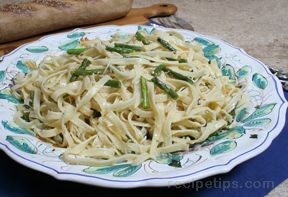 Asparagus can be cooked alone or added to dishes such as pastas and stir fry's. Preparing fresh asparagus prior to cooking is as simple as rinsing and snapping about a one inch section of the base of the stalk off of each spear. This can be accomplished by holding each spear, one hand at the base, the other a couple of inches up the stalk and bending until the stalk naturally snaps off. 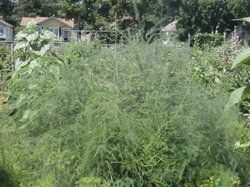 Once you get the hang of this process, it will go very quickly and prevent your cooked asparagus from being tough or stringy at the ends. Canned and frozen asparagus generally do not require this cleaning process. 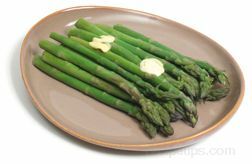 On the stove top, one traditional asparagus side dish can be simply prepared by lightly boiling the asparagus, and then topping with Hollandaise sauce. 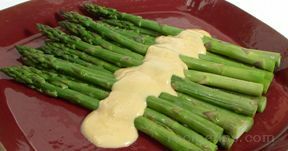 The Hollandaise sauce offers a taste that is a blend of mayonnaise, lemon and butter and compliments the asparagus very nicely. 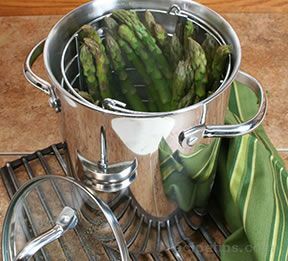 Another quick and easy stove top recipe can be made by blanching asparagus and then simmering it in butter and garlic salt. The key to these recipes are not to overcook; spears require only a few minutes of cooking depending on their thickness and will become mushy if overcooked. 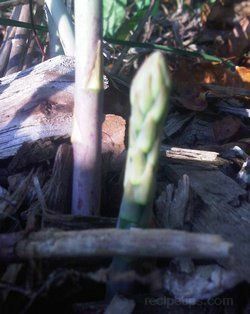 An asparagus spear that has not been overcook will resemble the consistency of a cooked green bean. 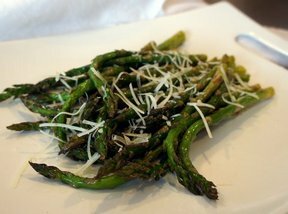 Asparagus can also be cooked on the grill which results in a slightly more nutty flavor then when boiled. As with most cooking of vegetables on the grill, a marinade is generally necessary to help prevent sticking and maintain moisture. 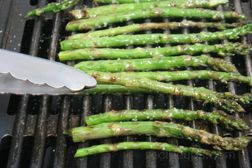 A light mixture of olive oil, salt, and lemon pepper constitutes a great recipe combination for asparagus grilling. You can vary the recipe by adding your own favorite dry seasonings or vinaigrettes. 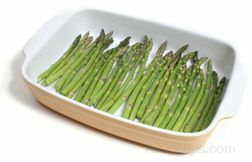 Simply put cleaned and trimmed asparagus into a 1 quart Ziploc style bag, add in a few teaspoons of olive oil (just enough to coat all spears lightly), seasonings of choice, seal the bag, and shake it up to allow oil and seasoning to disperse evenly. 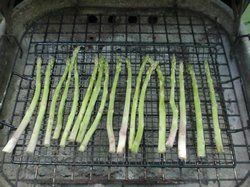 Asparagus can then be placed into a vegetable grilling basket and placed on grill. Observe your fire setting on the grill under the vegetable basket closely because the olive oil can cause flare ups if the flame is too high. 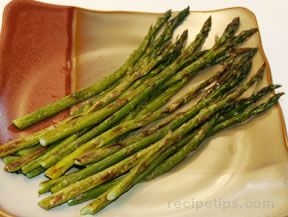 Turn asparagus often until all sides appear to have an even golden brown color to them. Promptly remove from grill and enjoy! 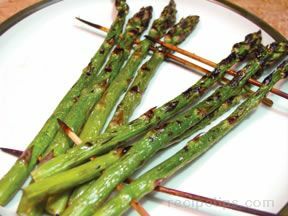 When the weather isn't right for grilling, you can achieve a similar flavor by cooking asparagus in a shallow pan or cookie sheet in the oven. 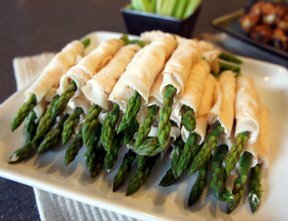 Preheat the oven to 400 degrees, line a shallow pan or cookie sheet with foil, prepare asparagus just as you would for the grill recipe, spread coated spears evenly onto a foil covered pan-do not allow spears to overlap. This dish can be topped with fresh grated parmesan cheese for an extra wow factor before popping it into the oven for approximately 20 minutes. 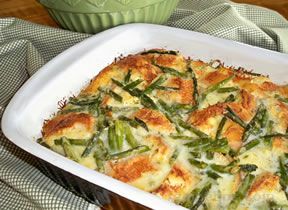 In addition to all of the great tasting side dishes that can be easily prepared with asparagus, this versatile vegetable can also be added to many casseroles and main dishes to compliment flavors or as a substitution for other vegetables. Thinking of tossing together pasta with an oil or cream base dish tonight? Why not throw in some chopped asparagus pieces in the last few minutes of your cook time to add that extra rich flavor to your dish? If you are considering a broccoli beef stir fry, try substituting asparagus for the broccoli. 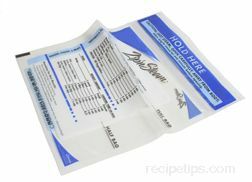 It will reduce the cook time of your recipe and serves up great over rice. 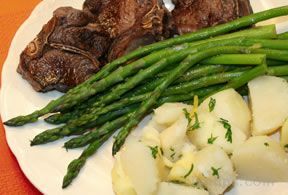 A personal favorite is to brown some thinly sliced steak in a wok or on the stove top, add some brown sugar, soy sauce and minced garlic to taste, add a teaspoon of cornstarch for thickening, and toss in fresh chopped asparagus in the last few minutes of cooking. Serve this over white rice, and you have a fabulous teriyaki inspired Asian style dish that is easy to prepare, and sure to inspire some happy faces at the dinner table. 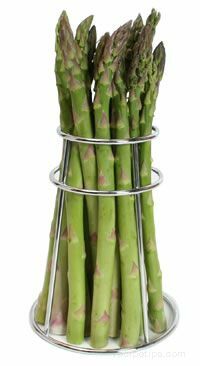 With all the options for incorporating asparagus into your cooking routine, there is no need to skip past it in your grocers produce section. 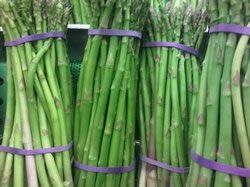 Some key points to remember when shopping for fresh asparagus are; look for the thinner stalks; stalks should look healthy and never shriveled, and their heads should be firm, never squishy or moldy. 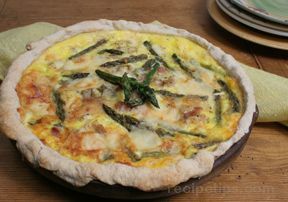 You can keep fresh asparagus in the refrigerator for no more then 3-5 days. 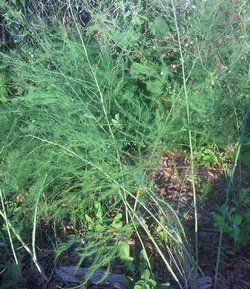 If harvesting fresh asparagus from a garden, stalks should be cut off at ground level as soon as they are of appropriate size before they are allowed to open and bloom. When incorporating canned or frozen asparagus into recipes in the microwave, be sure to reduce cook times to prevent overcooking. or classic dishes that you can improve upon. 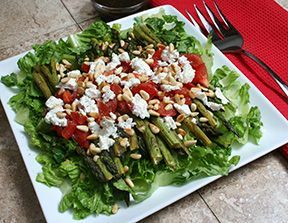 Whether on the stove top, in the oven, or on the grill, cooking with asparagus offers a variety of tasty flavors and options.